This is WOW News 247: Good NEWS: 300 Passengers Evacuated From Burning Korean Passenger Plane in Tokyo! Good NEWS: 300 Passengers Evacuated From Burning Korean Passenger Plane in Tokyo! 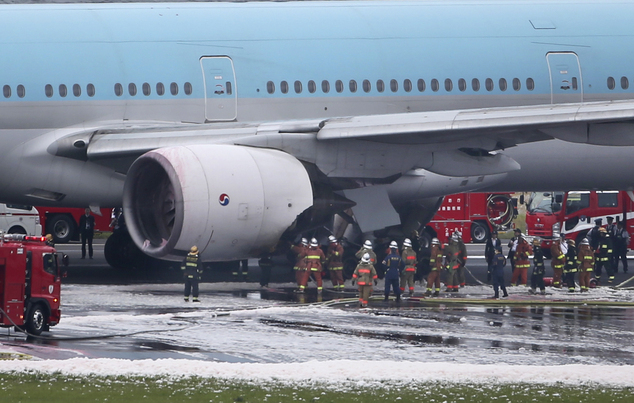 300 passengers evacuated from Korean Air plane at Tokyo airport as engines catch fire. The accident affected the travel plans of some 50,000 passengers, causing the cancellation of at least 200 flights. About 300 passengers and crew members were evacuated from a Korean Air Boeing 777 at Tokyo’s Haneda airport in dramatic scenes after one of the engines caught fire, officials said Friday. TV footage from the airport showed the plane, which was bound for South Korea’s Gimpo International, surrounded by red fire trucks and with the area around its left wing doused in foam. The plane’s inflatable emergency evacuation slides had all been deployed. 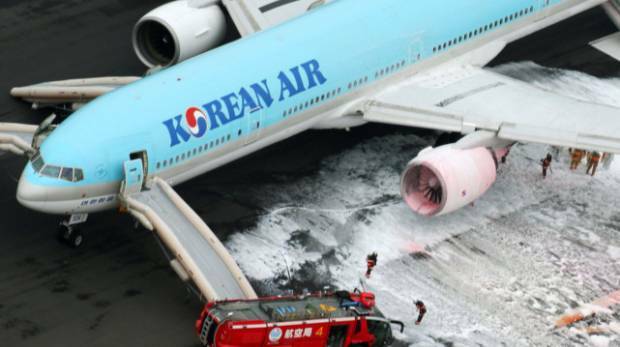 “The flight (Boeing 777) had a fire on Engine No.1,” a Korean Air spokesman told AFP. Smoke was seen coming from the plane as it was about to take off at around 00:40pm, officials of the Japanese transportation ministry and the airport told AFP. Passengers and crew were evacuated and there were no reported serious injuries, a fire department official said. “So far we know that 19 people were (lightly) injured, some of whom said they feel ill,” he told AFP. Dozens of fire engines were deployed to the scene and have almost put out the fire, he said. Local media said police have so far discovered no information linked to criminality and reported that the airport, which was closed temporarily, would resume operations on three out of four runways. The accident affected the travel plans of some 50,000 passengers, causing the cancellation of at least 200 flights, NHK reported.